(22 cm), I: 368 pp. 3730 entries. II: 416 pp. 4359 entries. III: 522 pp. 5583 entries. IV: 556 pp. 6007 entries. V: 605 pp. 6523 entries. Publisher’s printed wrappers (vol. 1) or black cloth (vols. 2-5). 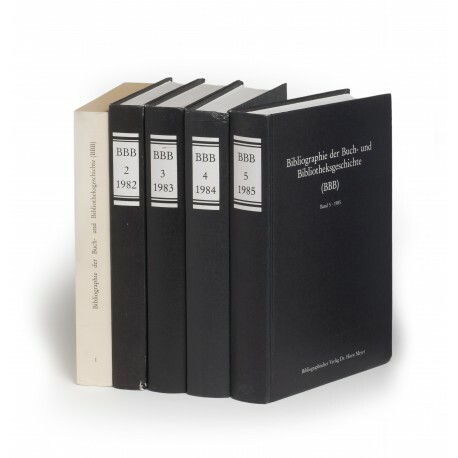 - The first five volumes of this immensely useful series, indexing articles of a bibliographical nature in more than 800 separate journal titles. 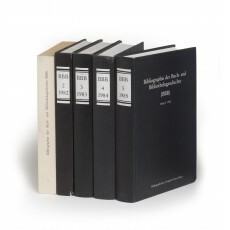 Each volume records the publications during a particular year. Publication ceased with volume 19/1999, issued in 2001; four further volumes (20-23, issued 2002-2004) contain addenda (cf. review by Wallace Kirsop, in Script & Print, volume 34, pp.252-254). 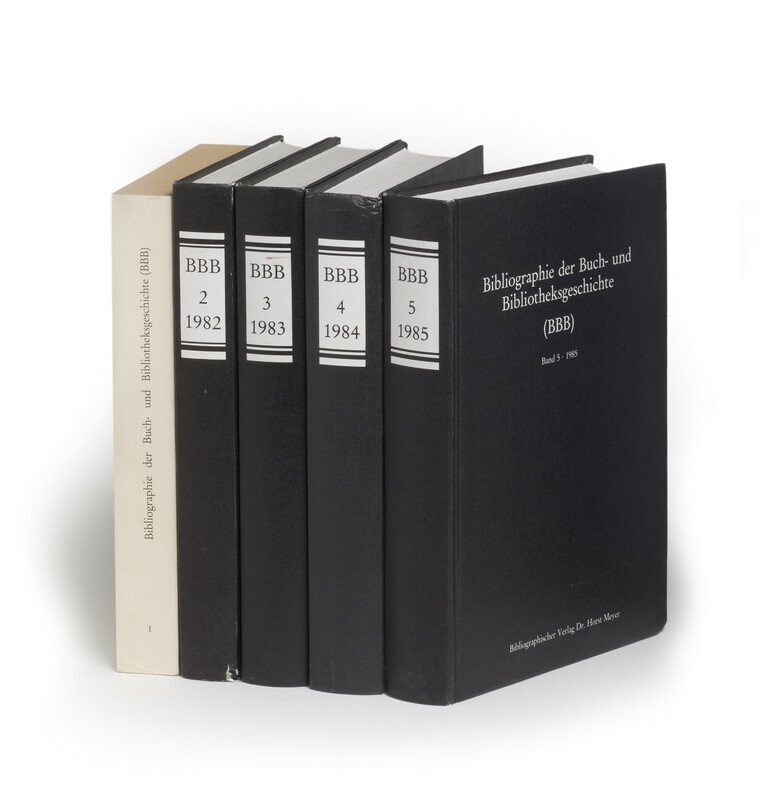 ‘The BBB has become a reliable book historical and bibliographical aid, which has thoroughly earned its own place among books… it has become an indispensable work’ (from a notice of volumes 3-6 in Quaerendo, volume 20 (1990), pp.64-65). ¶ Lower corner bumped (vol. 2); otherwise in very good state of preservation.